They call me a wanderer. and I’m as lost as I’ve ever been. just for me, there never is. but everyone is and it’s all too loud. My mind is rush hour. 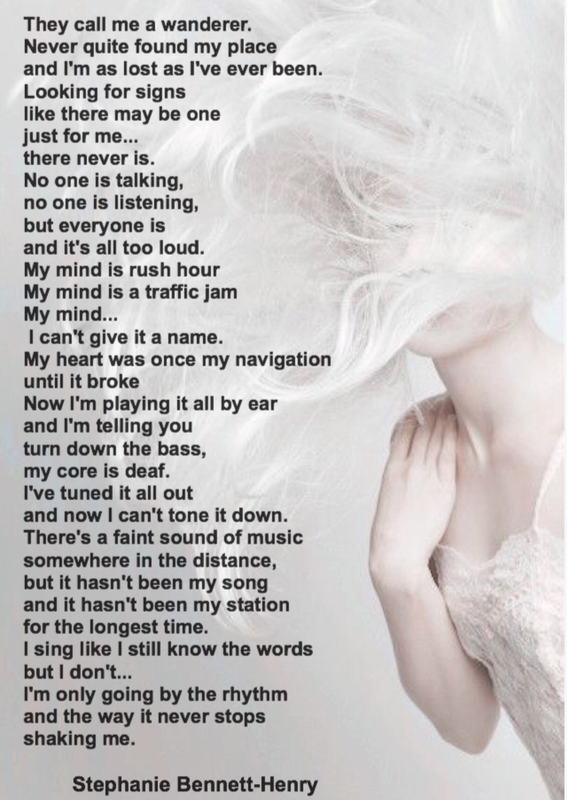 My mind is a traffic jam. My mind, I can’t give it a name. turn down the bass, my core is deaf. I can’t tone it down. and the way it never stops shaking me.